The holiday season has arrived! To kick things off and help our readers find that perfect gift, we're excited to share with you The 2013 Kidliterati Guide to Gift-Giving. Everyone knows that the M in "monster" stands for MEAN. But what happens when a monster can't be mean any more? Is he still a monster at all? One young monster's attempts to live up to his name go hilariously awry as he discovers--with a little help from new friends--that it's not what you're called but who you are that counts. Poppy is a waddling, toddling pig with big dreams. She wants to be a star. But she soon discovers that's not as easy as it sounds. It's only when Poppy feels the magic of gliding and sliding, swirling and twirling on ice that our most persistent pig truly believes in herself: Poppy, star of the rink. This one is my two-year-old's current favorite book! "Once there was a tree . . . and she loved a little boy." 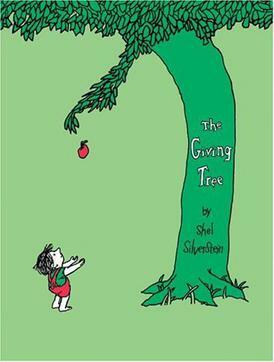 So begins a story of unforgettable perception, beautifully written and illustrated by the gifted and versatile Shel Silverstein. 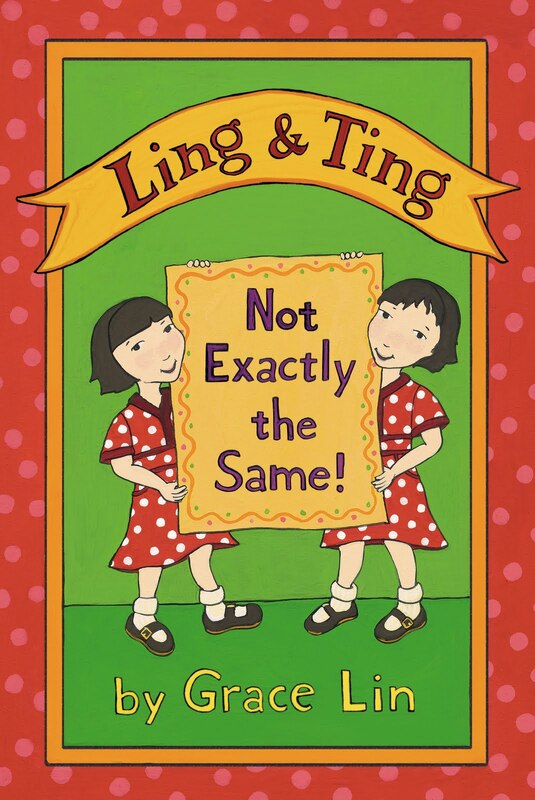 Two delightful easy readers about twin girls who are NOT alike. My boys borrowed Not Exactly the Same! from the library so often, we had to buy our own copy. Share a Birthday was released in September and they enjoy it just as much. Written by Theodor Suess Geisel Award Nominee Grace Lin. I'm a HUGE fan of humor in my books and this one makes me laugh out loud bedtime after bedtime. A confused donkey wants to know what he can DO with this odd thing he's holding ("Can I blog with it", "How do I scroll down?") while his exasperated money friend keeps trying to tell him "It's a book!") The last line is completely snort-worthy for anyone who treasures pages versus screen! A collection fit for the (Egyptian) gods! All three paperback books in the blockbuster Kane Chronicles trilogy-The Red Pyramid, The Throne of Fire, and The Serpent's Shadow-are together at last in a beautiful package. This boxed set is sure to be treasured by readers of all ages, whether they're experiencing Sadie and Carter's amazing adventures for the first time or are faithful fans eager to devour the saga all over again. Ivan is an easygoing gorilla. Living at the Exit 8 Big Top Mall and Video Arcade, he has grown accustomed to humans watching him through the glass walls of his domain. He rarely misses his life in the jungle. In fact, he hardly ever thinks about it at all. Instead, Ivan thinks about TV shows he's seen and about his friends Stella, an elderly elephant, and Bob, a stray dog. But mostly, Ivan thinks about art and how to capture the taste of a mango or the sound of leaves with color and a well-placed line. Then he meets Ruby, a baby elephant taken from her family, and she makes Ivan see their home -- and his own art -- through new eyes. When Ruby arrives, change comes with her, and it's up to Ivan to make it a change for the better. Small town, quirky characters and a murder mystery that will keep you guessing until the last minute. My boys and I listened to this collection during a recent road trip, and we had the greatest time! 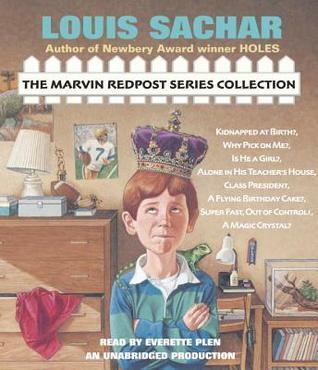 Marvin Redpost is a third-grade everyboy in some hilarious situations. We especially enjoyed Why Pick on Me? (Marvin's classmates think he's a nose-picker, and the more he protests, the more they believe he's picking) and A Magic Crystal? This younger MG series is smart, sweet, and laugh-out-loud funny. Written by Newberry winner Louis Sachar. Easily my favorite middle grade of the year, this is snarky humor at it's very best. 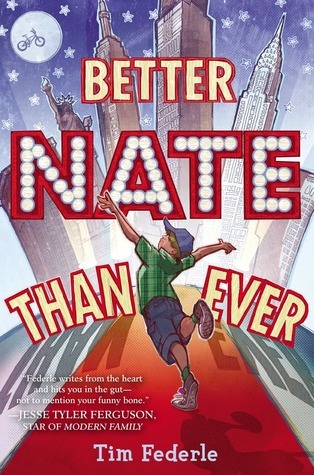 Nate's voice jumps off the page and his adorable combination of perceptive wit and wide-eyed observations as he sees New York City for the first time and struggles through an audition for a role in ET: The Musical, left me totally charmed. I recommend you not read this in public (unless you don't mind looking like a crazy person) because you WILL be crying with laughter. These awesomely fun bookmarks encourage young readers by tracking their reading time each day--they also have features like booklights and bright colors that will make your young reader feel special this holiday season. 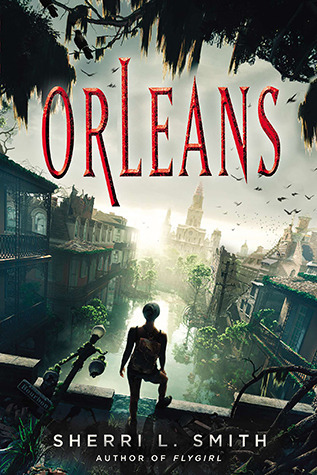 Critically acclaimed author Kimberley Griffiths Little brings to life a sweeping and heartfelt story set against the lush backdrop of the bayou. Twelve-year-old Livie is living with a secret and it's crushing her. She knows she is responsible for her mother's coma, but she can't tell anyone. It's up to her to find a way to wake her momma up. Stuck in the middle of three sisters, hiding a forbidden pet alligator, and afraid to disappoint her daddy, whom she loves more than anyone else, Livie struggles to find her place within her own family as she learns about the powers of faith and redemption. Livie's powerful, emotional, and sometimes humorous story will stay with readers long after the last line is read. From the #1 New York Times bestselling author of Shiver and Linger comes a brand new, heartstopping novel.Some race to win. Others race to survive. It happens at the start of every November: the Scorpio Races. Riders attempt to keep hold of their water horses long enough to make it to the finish line. Some riders live. Others die. Sixteen-year-old Maggie Bennet's life is in tatters. Her mother has disappeared, and is presumed dead. The next thing she knows, her father has dragged Maggie away from their elegant Newport home, off on some mad excursion to Yellowstone in Montana. Torn from the only life she's ever known, away from her friends, from society, and verging on no prospects, Maggie is furious and devastated by her father's betrayal. 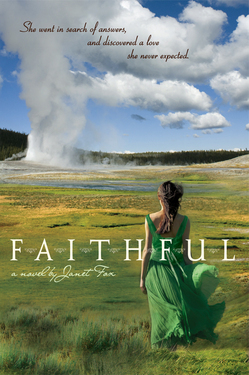 But when she arrives, she finds herself drawn to the frustratingly stubborn, handsome Tom Rowland, the son of a park geologist, and to the wild romantic beauty of Yellowstone itself. And as Tom and the promise of freedom capture Maggie's heart, Maggie is forced to choose between who she is and who she wants to be. Four critically acclaimed, award-winning modern classics from #1 New York Times-bestselling author John Green. This John Green deluxe box set includes Printz Award–winning Looking for Alaska, Printz Honor book An Abundance of Katherines, Edgar Award–winning Paper Towns, and #1 New York Times–bestselling The Fault in Our Stars. Exclusive edition contains signed copies of Looking for Alaska and the Fault in Our Stars. A near future dystopian novel that will have your heart pounding and keep you on the edge of your seat. This book came about because of an internet hoax. Author Alison Cherry (yes, that's her real last name and yes she has natural red hair) read that the gene which causes red hair could be bred out of existence in just a few generations. 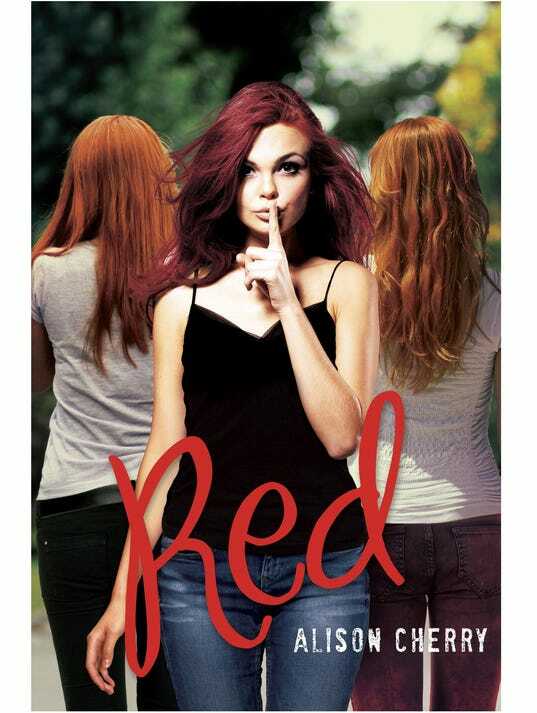 As she pondered how funny a "save the redheads" movement could be, she hit on the idea for RED. In her story residents live in Scarletteville, a redhead sanctuary, where social status is determined by hair color: the redder, the better. Felicity's locks of lustrous copper guarantee her popularity, a hot jock boyfriend, and a top-seeded position in the upcoming Miss Scarlet beauty pageant. Except Felicity has a secret. Underneath some artful hair dye... she's a blonde. And someone is on to her. This is as much a smart satire as it is a fun read, full of humor and a happy-sigh-worthy romance. Fans of Leigh Bardugo's incredible YA fantasy Shadow & Bone will flip for this gorgeous solid bronze collar from Hebel Design! The wintery setting is perfect for YA readers. It's a haunting story about the pangs of adolescence, parents’ divorce, and a friend's death. 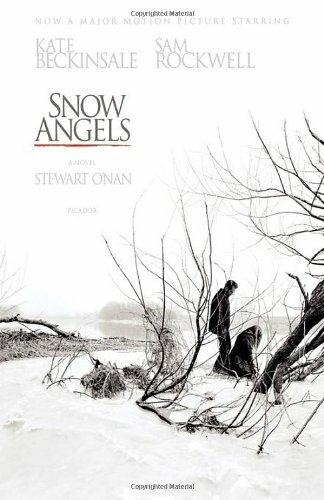 True, that sounds a little dark, but the writing, characters, and story make it really hard to put down once you start. Choose from a cat, dog, elephant and other animals, or go crazy with a shark fin or a hand doing the Star Trek Vulcan Salute. 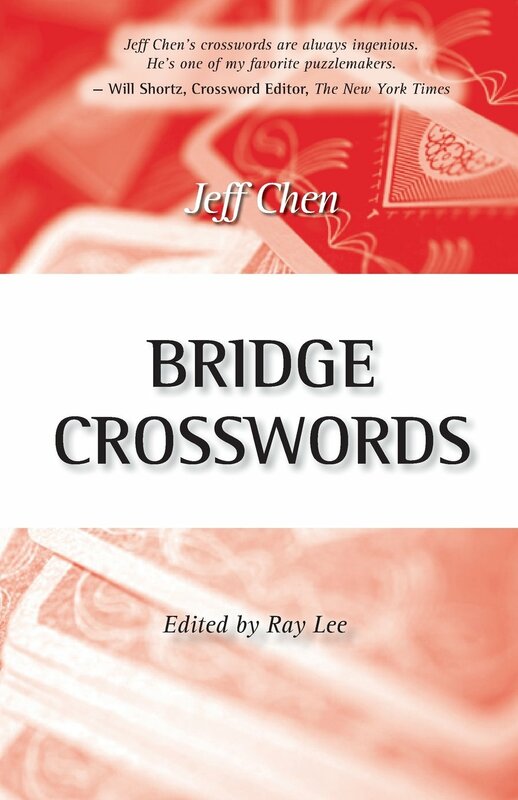 For your bridge and crossword enthusiasts, don't forget Bridge Crosswords, by Kidliterati's very own Jeff Chen! We've shared our favorite books with you, now you can share yours with others (and not have to worry about losing them forever.) 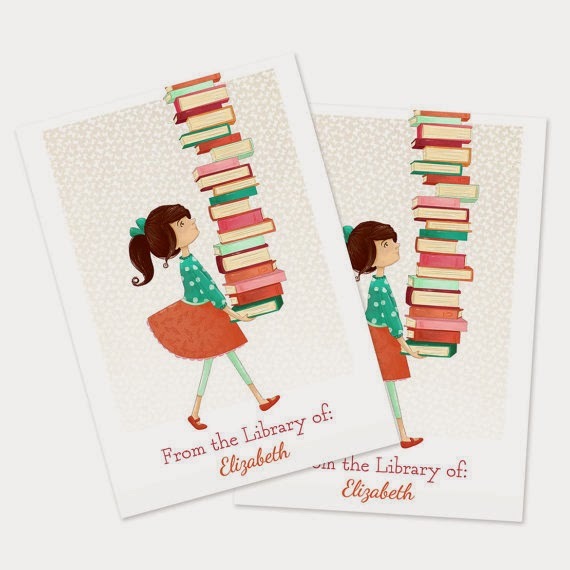 These adorably illustrated personalized bookplates on Etsy are just the trick!